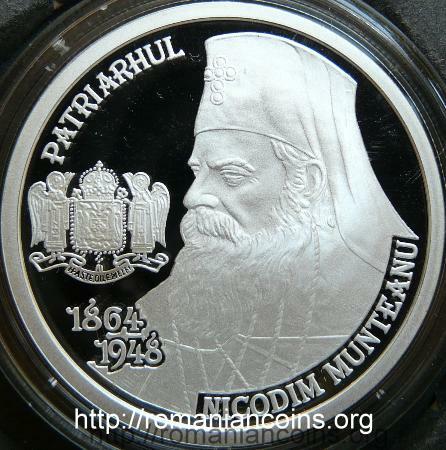 The residence of the patriarchs of the Romanian Orthodox Church suffered many changes over time: repairs, consolidations, rearrangements, enlargements, modernizations, improvements and adornments. 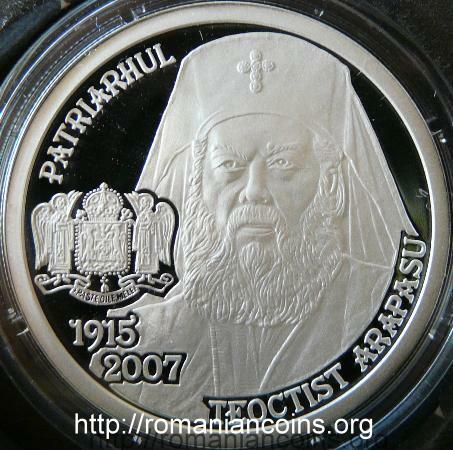 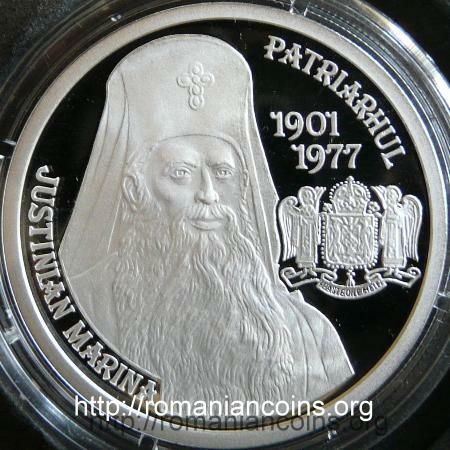 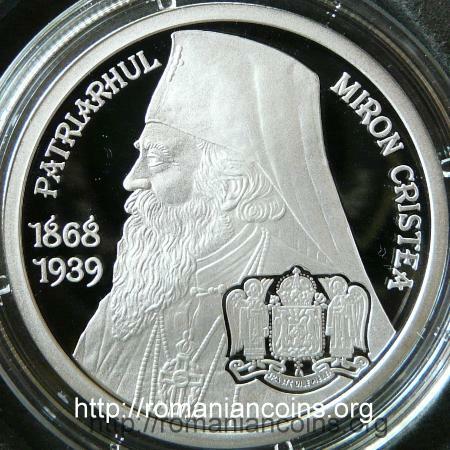 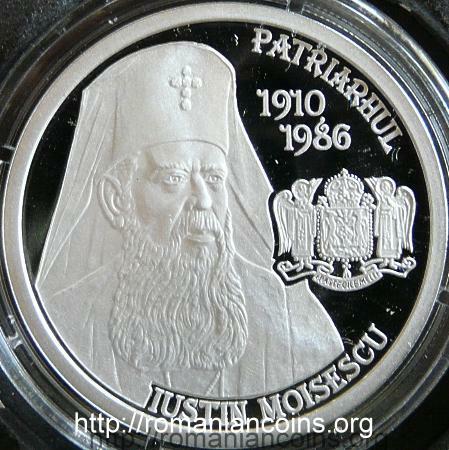 On the coin is represented the nowadays look of the stairs on the entrance into Patriarch's Residence, built in 2008. 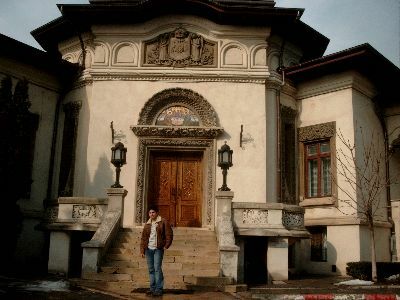 In the picture below (taken in 2006) the previous aspect of the entrance can be seen (the old stairs were constructed in the times of patriarch Justinian). 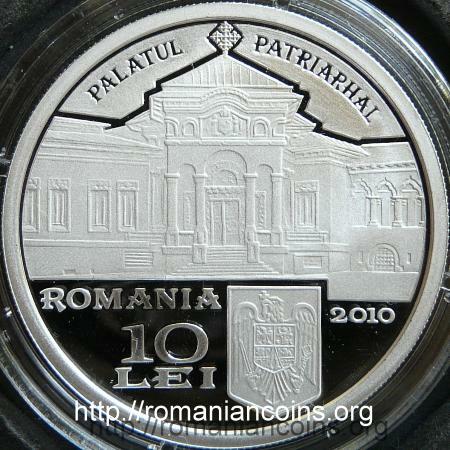 The building represented on the coin must not be confused with the Palace of the Patriarchy. 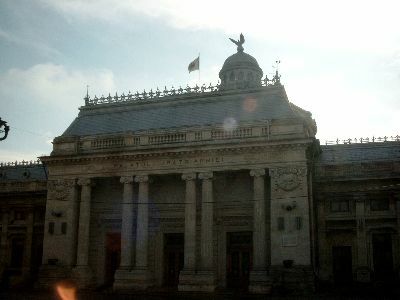 The latter was built in 1908 on the emplacement of the Deputy Assembly (Adunarea Deputaţilor), also known as the Palace of the Chamber of Deputies.